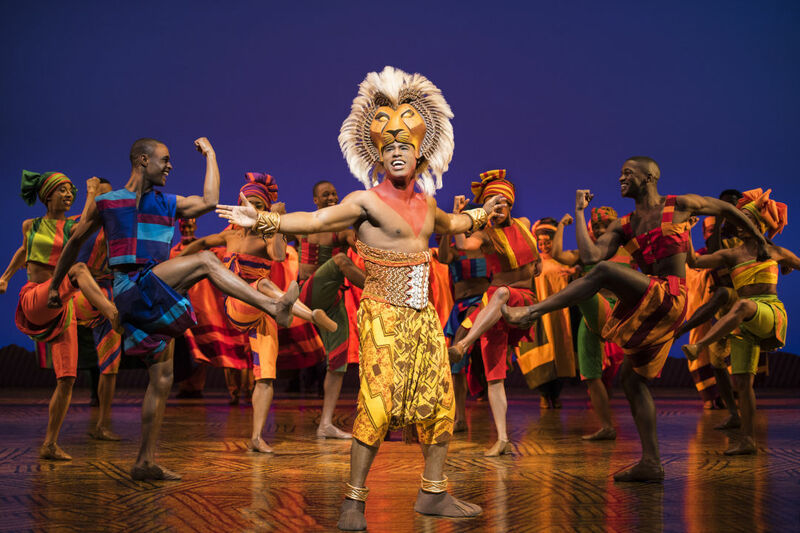 At long last, the megahit musical roars its way into Sarasota. Jared Dixon as Simba in the North American tour of The Ling King. Copyright Disney. 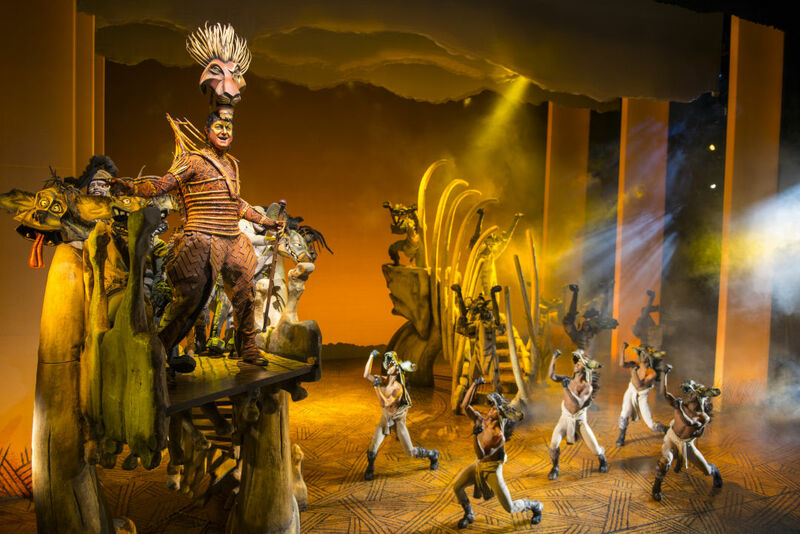 If you haven’t journeyed to New York or other cities to catch the musical stage version of The Lion King in the 20-plus years since it first bowed, you’ve had a long wait to see the long-running international hit. But if you have tickets to the current show on tour at the Van Wezel Performing Arts Hall, the wait will be well worth it. To watch those animals, brought to life courtesy of amazing puppets, masks and movements, take the stage (with some actors entering from the doors of the auditorium very close to both audience members and the percussionists drumming on either side right by the stage) is thrilling no matter how jaded you might be. The African rhythms that stir the story of Simba, his wicked uncle Scar (Spencer Plachy, very much in the mold of a George Sanders-like villain), his friend-turned-love Nala (Nia Holloway) and the various creatures that populate the scene help transport us to the world of lions, baboons, hyenas and both jungle and desert. The Lion King is certainly Simba’s story (he’s played by a lively Richard A. Phillips Jr. as a boy, alternating with Walter Russell III depending on the performance date), and Jared Dixon delivers a convincing, troubled Simba as he makes his home with comic sidekicks Timon (Nick Cordileone) and Pumbaa (Ben Lipitz) after fleeing his true home and responsibilities when tragedy strikes. But in the incarnation of the musical, Taymor’s vision aims at more than that, also touching on the fragile ecology that supports life only when it’s taken care of in return. Holloway’s affecting delivery of “Shadowland” in Act II, after Scar and his minions have devastated the environment, clearly demonstrates that. But of course there are plenty of lighter moments here, too, some silly ones that should please the youngest members of the audience, along with a few contemporary jokes thrown in (one even referencing Sarasota). Cordileone especially makes the most of his meerkat character’s timorousness and wisecracks. Buyi Zama as Rafiki and Greg Jackson as the hornbill Zazu likewise score plenty of laughs. It’s certainly easy to see why The Lion King has become the much-awarded megahit it is. Some tickets may still remain for the run (through March 31); call 953-3368 or go online at vanwezel.org.